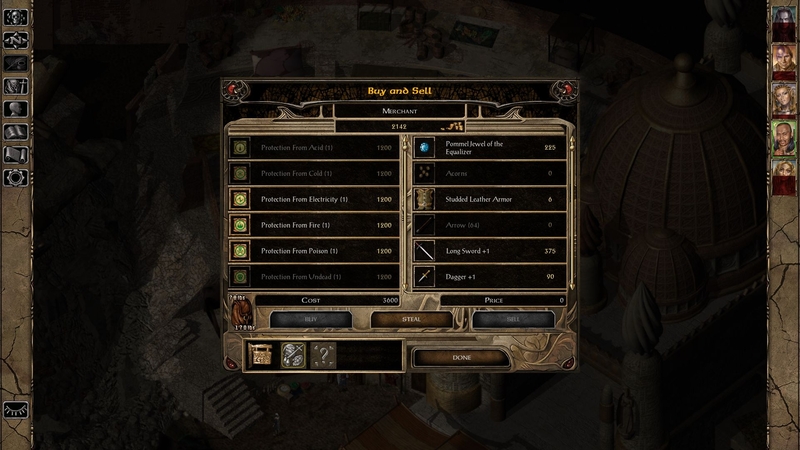 This mod contains the full UI.menu (and resources) and should be used only if you don't have any other UI modifications. Otherwise, I publish most of the individual tweaks in this forum and you can install them with the mod EEUITweaks. 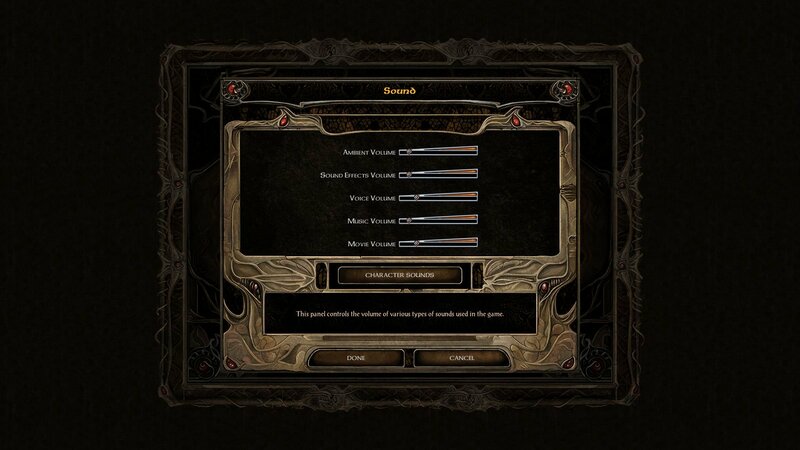 This mod is compatible with BG1EE, Sod, BG2EE and EET (v2.5). 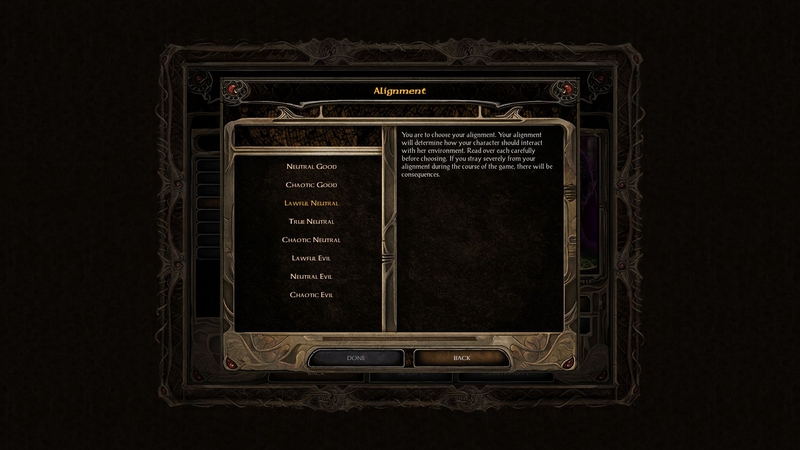 Modify the character creation screens to something closer to the v1.3 look. Mix between the mockup from this discussion and the 1.3 look. 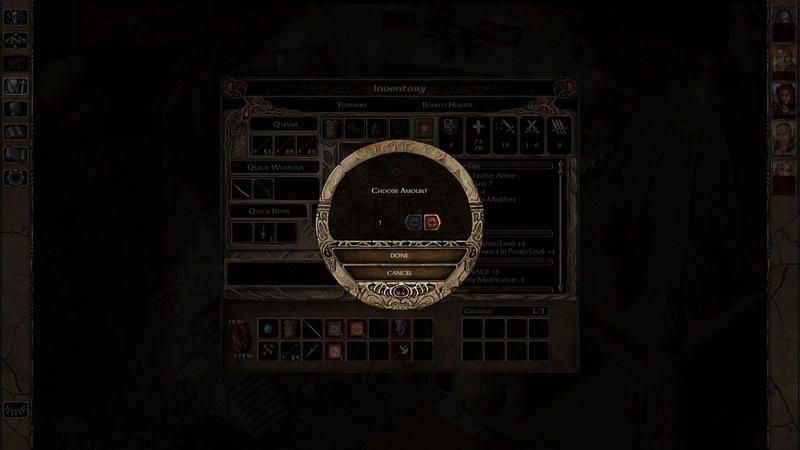 You can directly identify item from this screen, you no longer have to open a popup. From here and with this. From this post and with this. Use scrollbar instead of buttons. 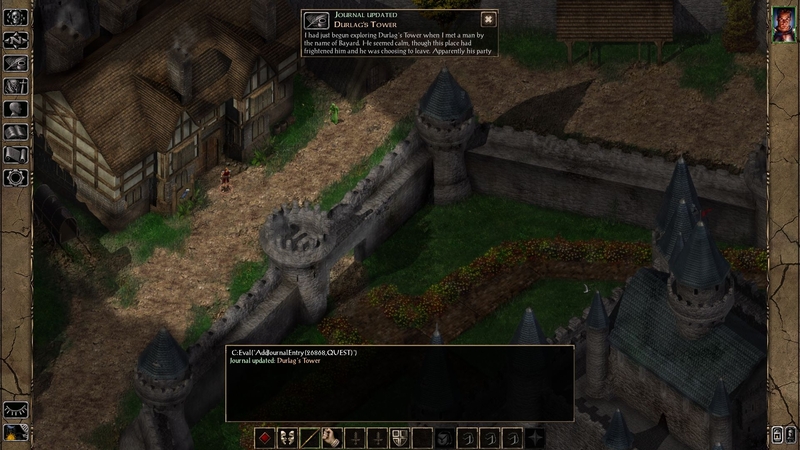 Left click on the map icon to open the area map. 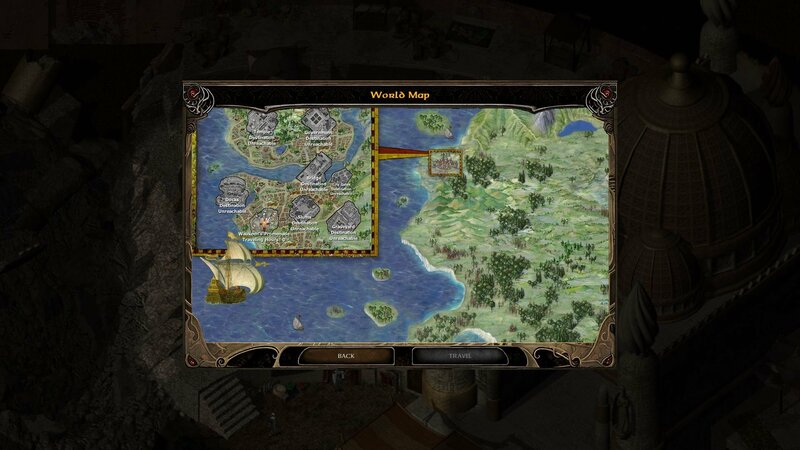 Right click on the map icon to open the world map. Restore the load and save screens to the v1.3 look. 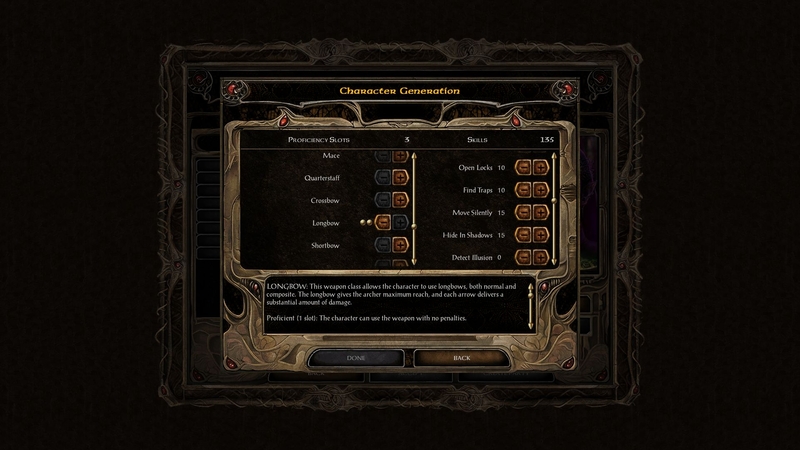 Restore and improve the options screens. 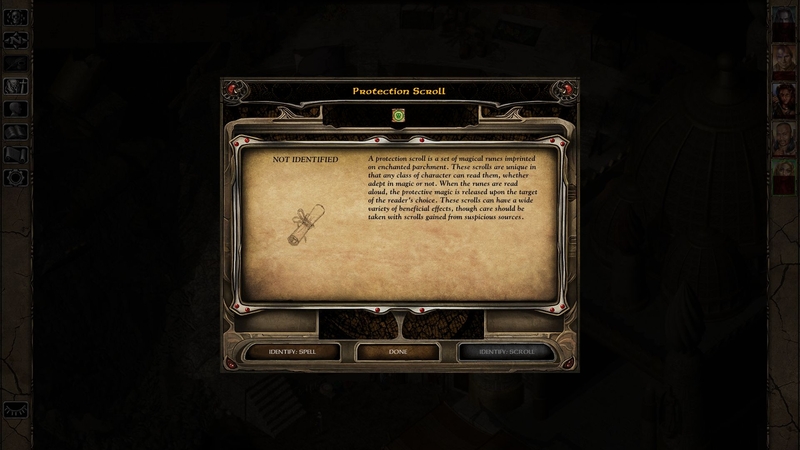 Restore and fix the journal screens. Redisigned priest spells screen (inspired by the mockup by @Pecca in the UI Improvement Suggestions Thread). 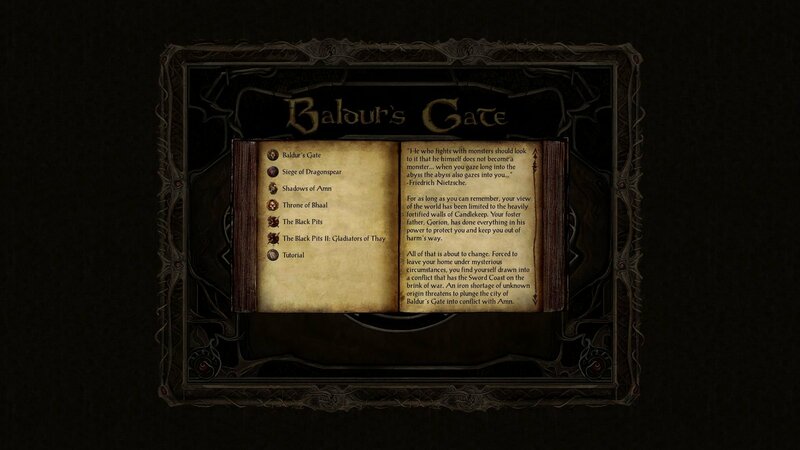 The bam used are from BG2 vanilla. Restored confirmation prompt before un-memorizing a spell. 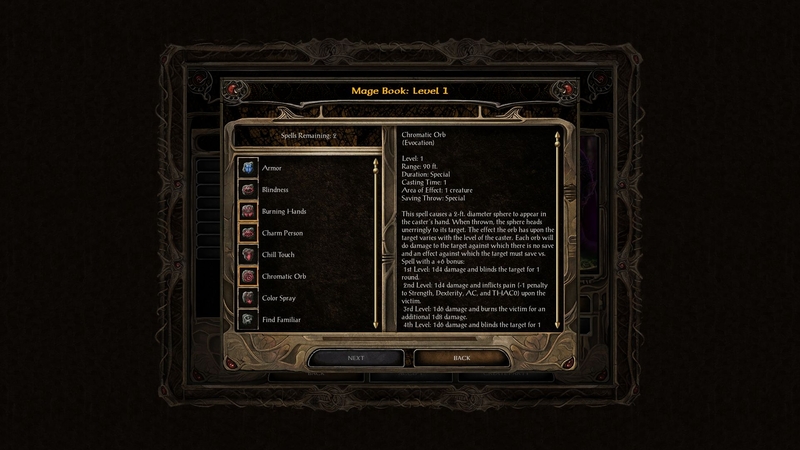 Spell description is opened by right-clicking the spell and showed on the other side of the book. Back button on levelup from here. There are probably other tiny changes that I forgot. 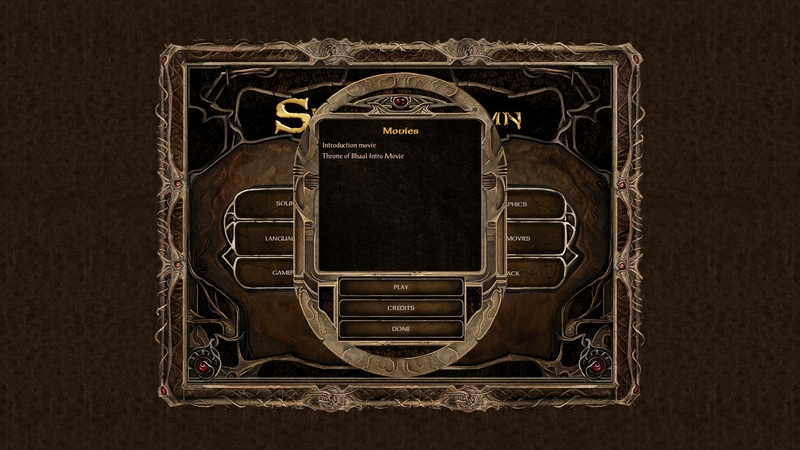 The UI.menu is compatible with EET. v3.8: Remove compatibility with 2.3. 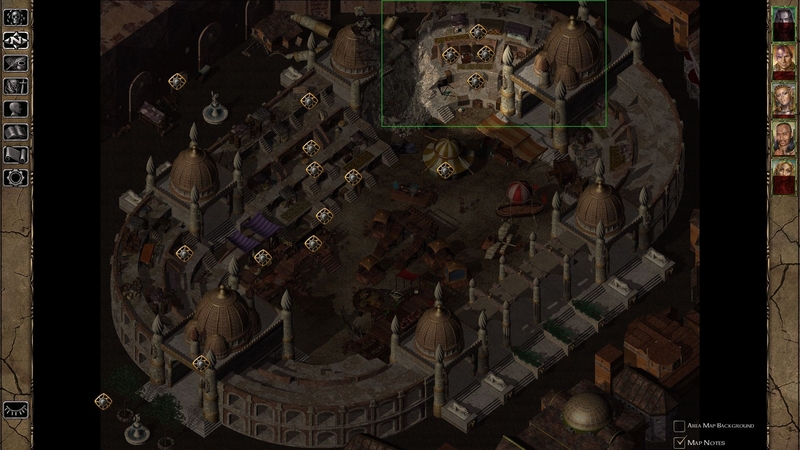 Change tooltip 'World Map' to 'Area Map'. 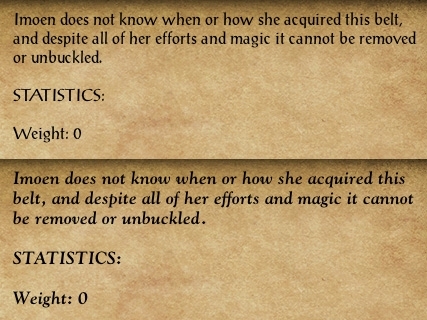 Take 'More Confirmation Prompts' into account when removing memorized spells. 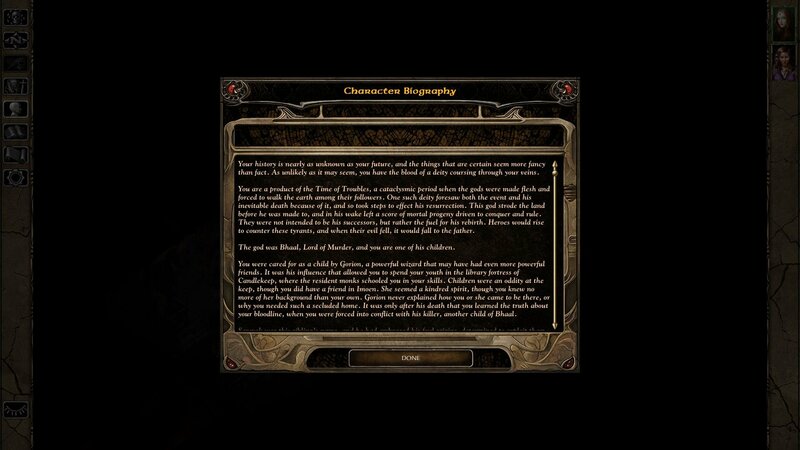 Tweak text scroll speed in chapter and dream. New dialog code by Adul. 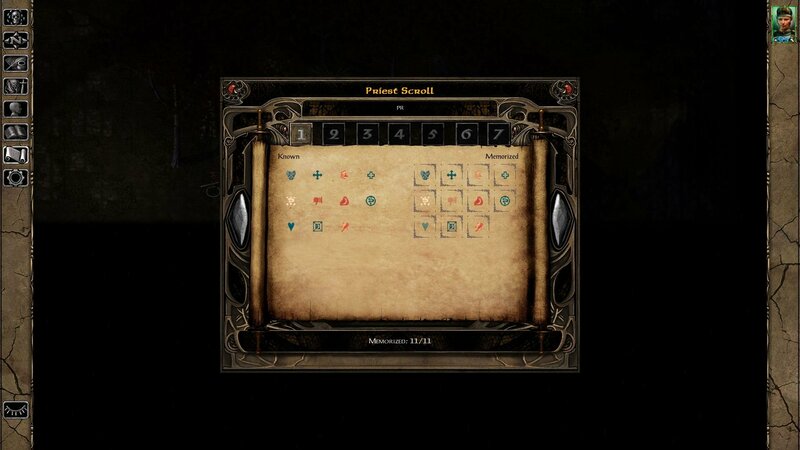 Spells screen. 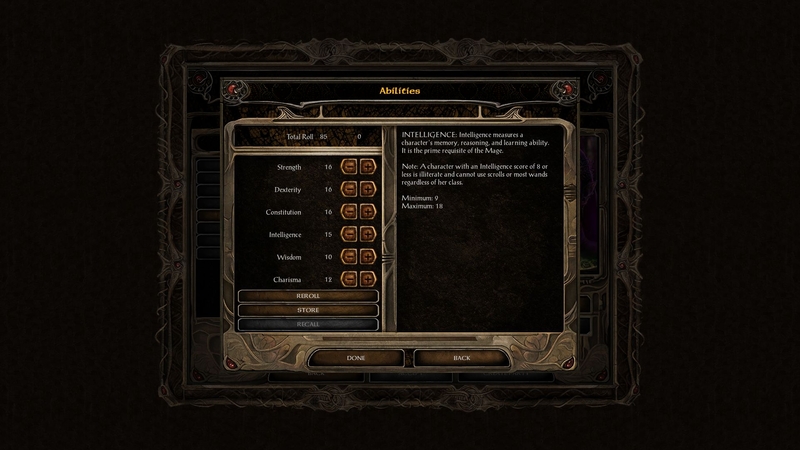 Buttons in character creation. 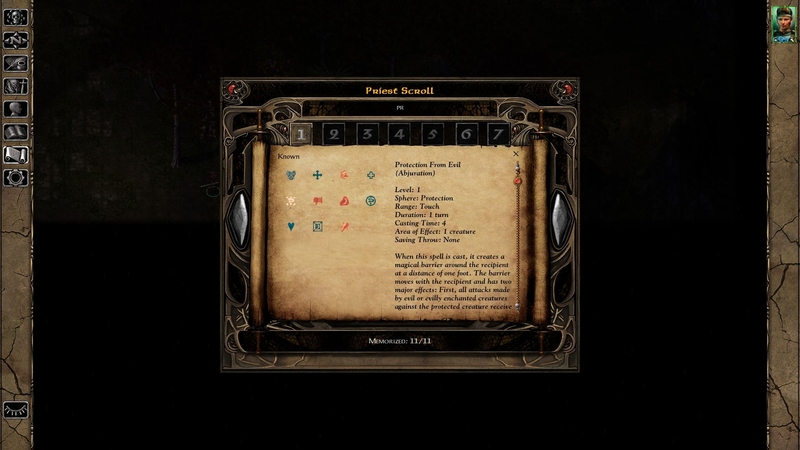 v3.7: Fix using back button in level up screen doubling proficiencies or thief points. Minor tweaks. v3.6: Compatibility fix with SoD 2.5. Add new option Left click on portrait to level up. v3.5.1: Fix message box scrolling. v3.5: More robust detection of update 2.5. More robust detection of EET. Fix show highlight button tooltip. Fix quicksave button in 2.5. Fix combat log in 2.5. 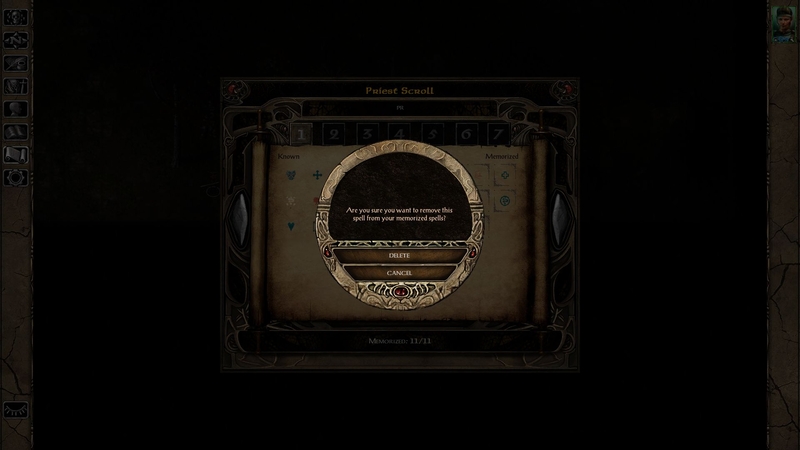 Fix using back button in level up screen doubling proficiencies or thief points. 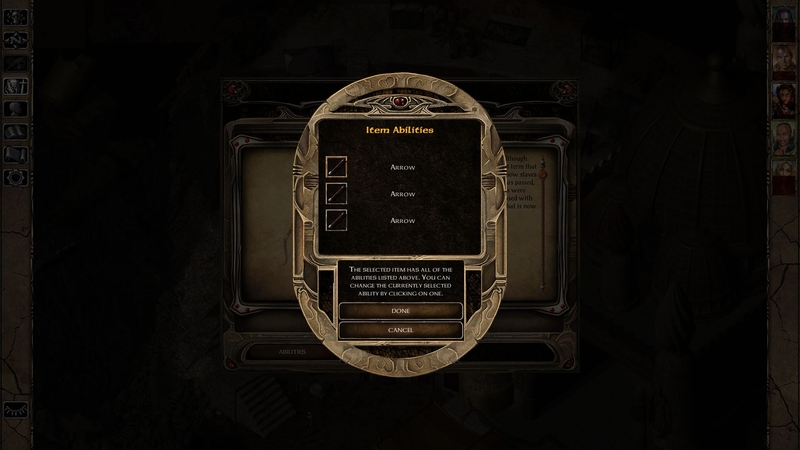 v3.4: Detect game version to install 2.3 or 2.5 UI.menu. Add install option to collapse quests by default. v3.3.1: Highlight character name input area. v3.3: Compatibility with 2.5. Update dialog box code. Fix some wrong strref. Add missing sound on some buttons. Add Select All button in Store and Container screens. Add install option to Show Sidebar toggle button, Quicksave button, Highlight button and small buttons. v3.2: Fix regression introduced in v3.1. 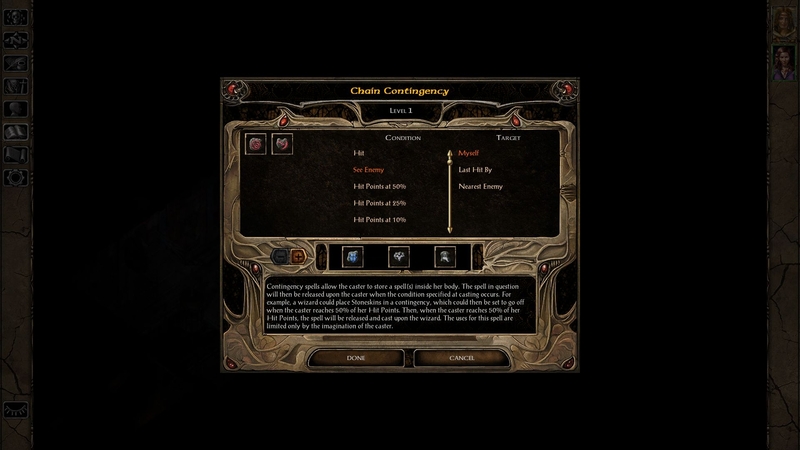 Detect Unhide Chargen Options. v3.1: Add missing weapon style bonus to the Record screen. Show a message when overriding a keyboard shortcut that is already used. Add tooltips in mage and priest spells book. Fix 'Pick to me' with Shaman. v3.0: Improved adorned letters. Combat log remains scrollable after death. Prepare for patch 2.5.
v2.9: Re-add Tutorial button for BGEE. Fix for empty item description. Add missing files. v2.8: Restore adorned first letter for chapter, dream and epilogue. 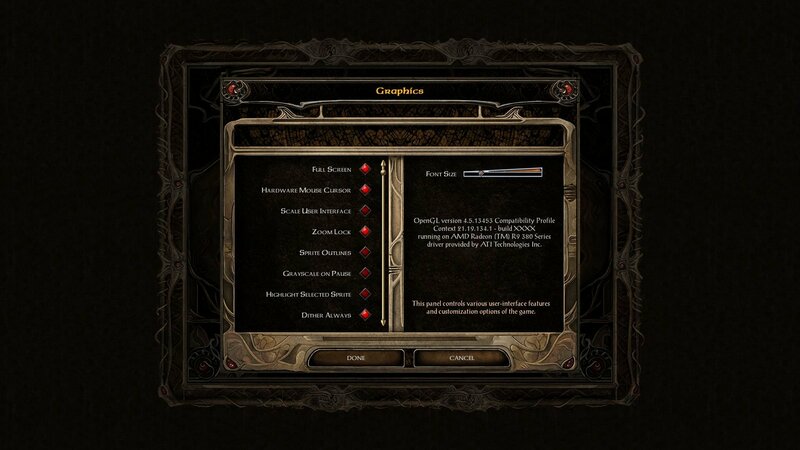 Re-add worldmap button. 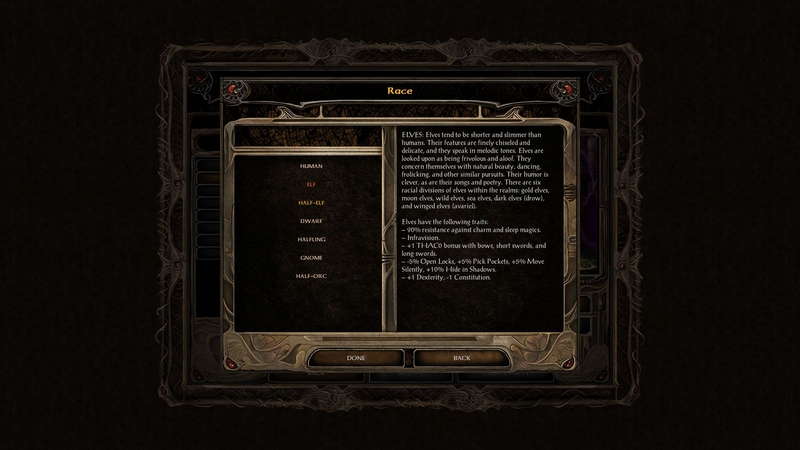 v2.7: Restore adorned first letter in item and spell description. 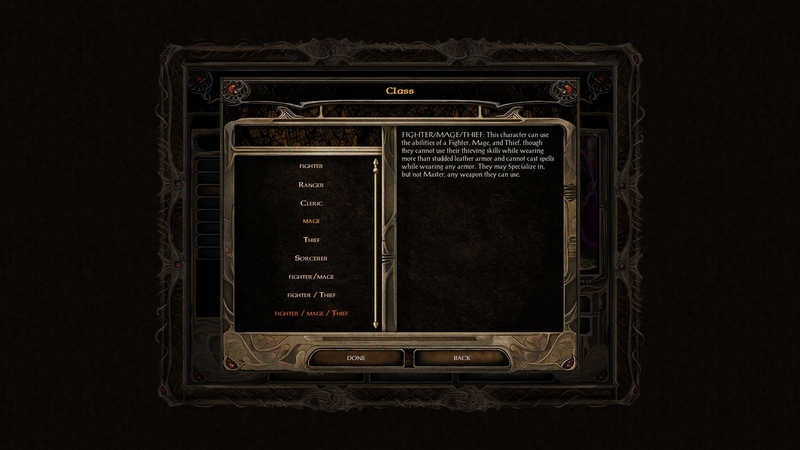 Update item description layout. v2.5: Add missing ToB chapter screens. Fix save screenshot aspect ratio. v2.4: Restore quickloot tooltip. 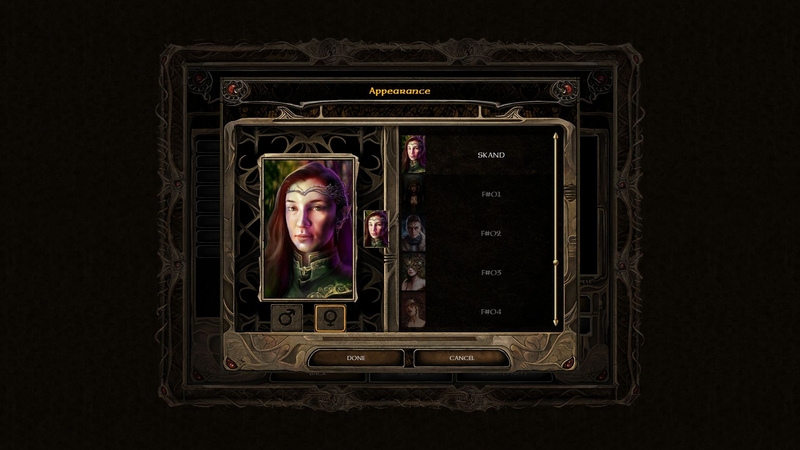 Left/right keys in character creation to choose portrait. 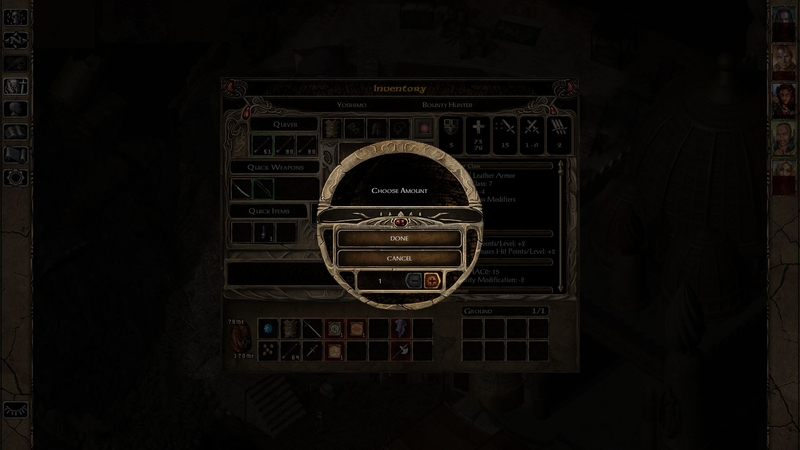 Return speed to held add/subtract buttons in character creation and levelup. Revert the inventory slot highlight to the EE look. v2.3: Minor tweaks to start screens. Fix quit dialog texture size. 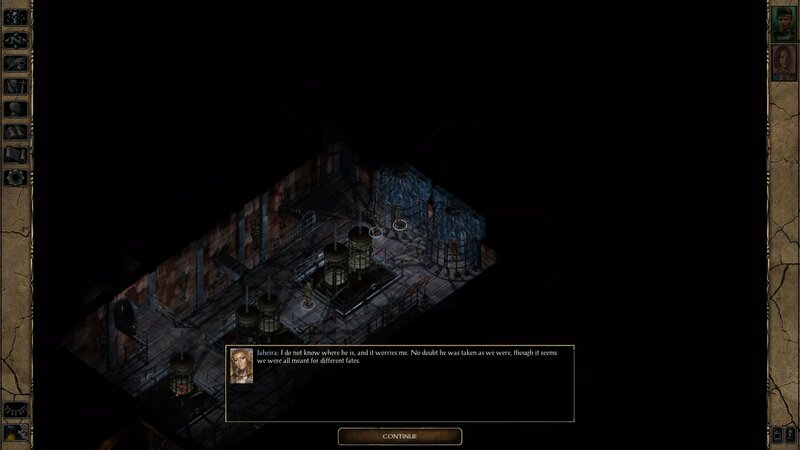 Detect Random Character Generation mod. v2.2: Restore 'Pick for me' button in mage spell selection. 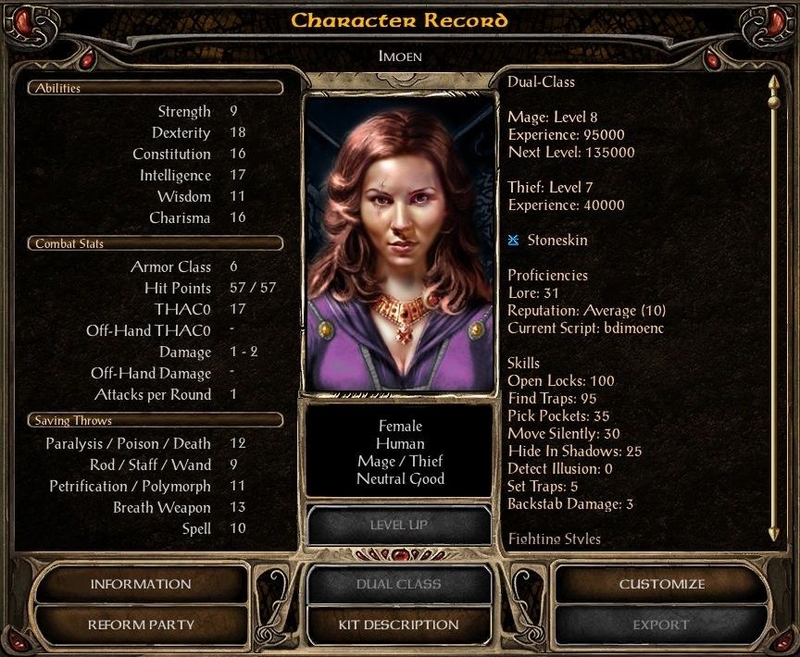 v2.1: Add keyboard shortcut in character creation (Shift: Change Gender. R: Reroll S: Store C: Recall). Restore sound in the mage book/priest scroll when changing spell levels. New install option (Single Click to Map Travel). v2.0: Revert journal fixes. Add scrollbar to spell screens. Add install options (choose font, disable item comparison, reverse button position). v1.9: Journal fixes thanks to @HaHaCharade. 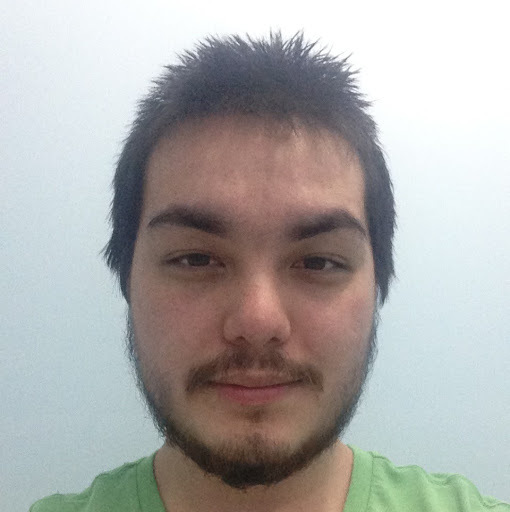 v1.8: Fix small portrait aspect ratio. Re-add stats cheat. 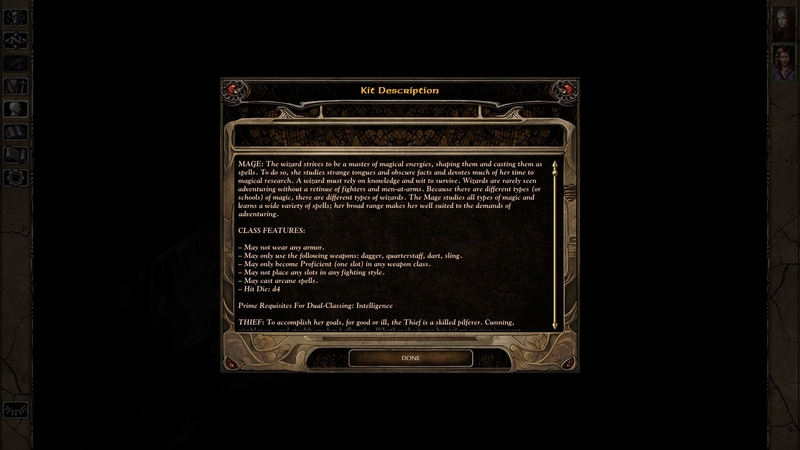 v1.7: Journal and journal popup fixes. 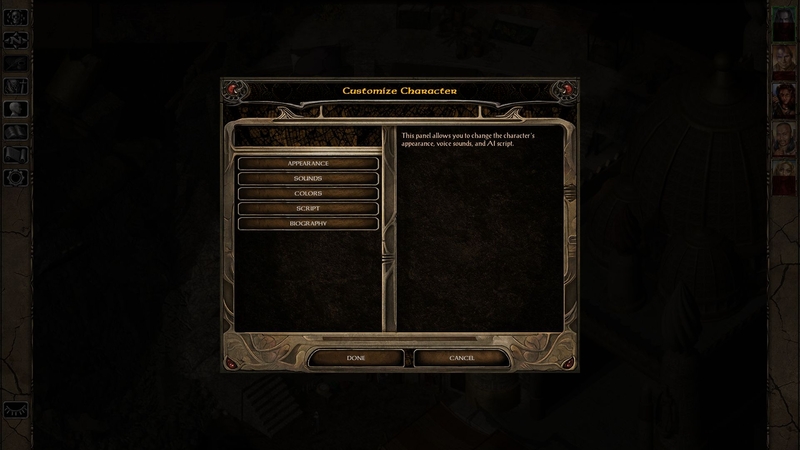 Add missing sound on some button in character creation. Properly hide the background image when closing dream sequences. v1.6: Fix Ctrl+Key shortcut. 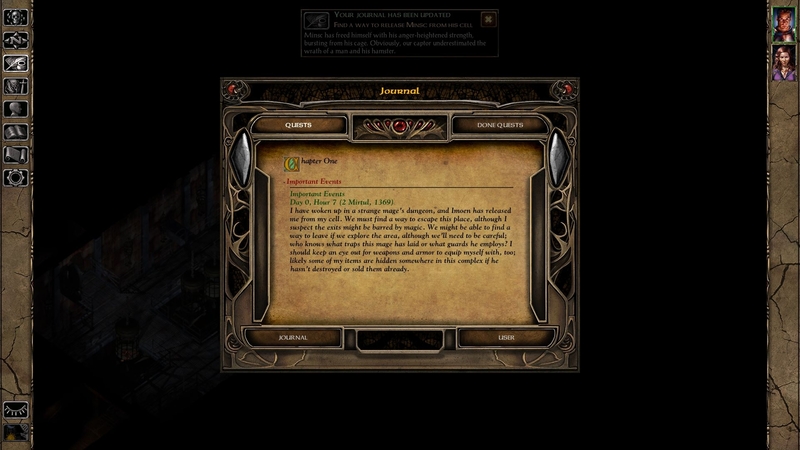 Fix right-click on portrait when journal is open. Fix click on journal popup not always selecting the correct category. Minor character creation tweaks. v1.4: Reencode pvrz to fix glitches with scaling on. Fix tooltip with scaling on. Fix unlearning spells. Reduce min height for dialog box. Spell trigger fixes. Add keyboard scrolling to portrait picker. v1.2: Do not show item comparison if nothing changes. Fix gender filtering in portrait picker. Fix crash in portrait picker. 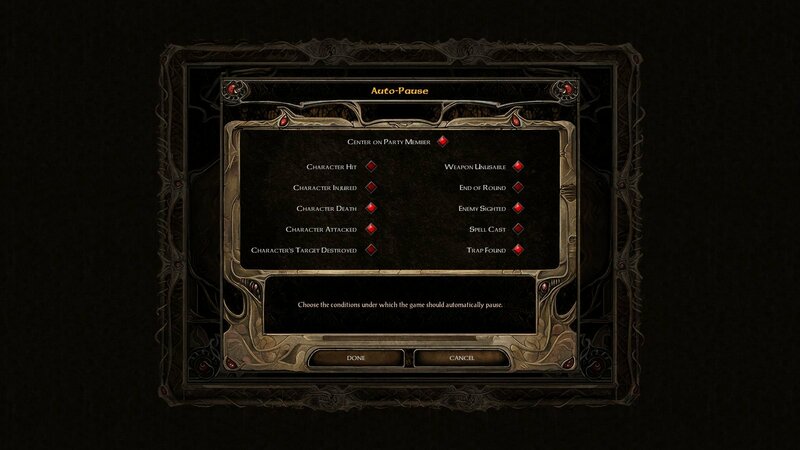 Reduce dialog min size. v1.1: Fix text position in graphic options. Play movie button should be clickable only when something is selected. Customize appearance should always select current portrait. Closing journal should un-pause. Journal should not have empty section. Revert button position in Worldmap. Tweak some elements positions. 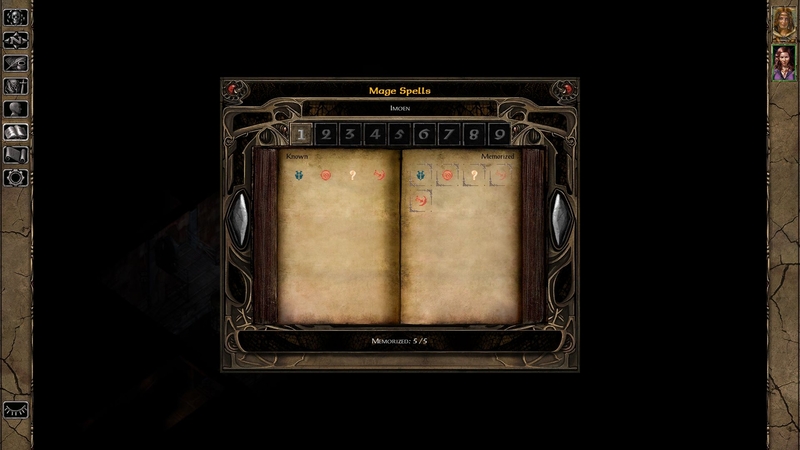 v1: Mage spells screen tweaks. Weidu mod. 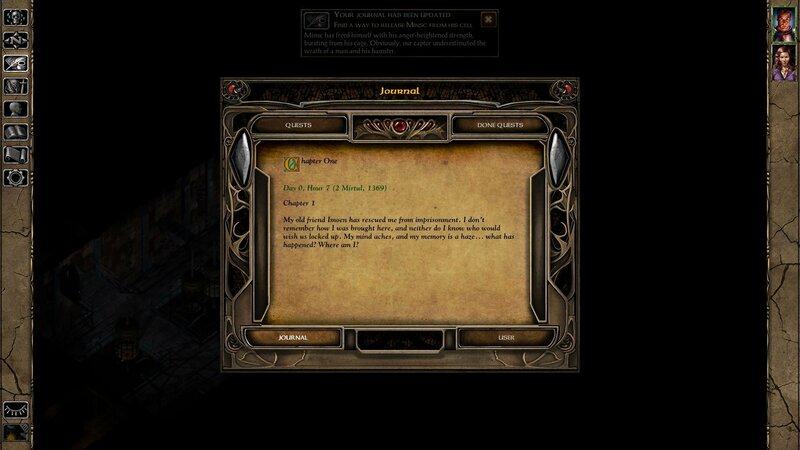 v0.9: Journal popups can be scrolled. Priest spells screen tweaks. 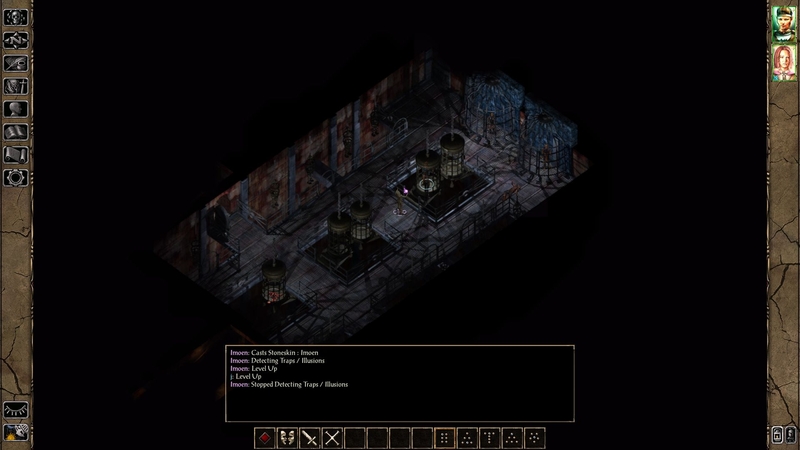 BG2 vanilla priest spells bam. Convert PNG to PVRZ. Compatibility with BG1EE and BG1EE+SoD. v0.8: Import screen. Better fix to hardcoded keyboard shortcuts. 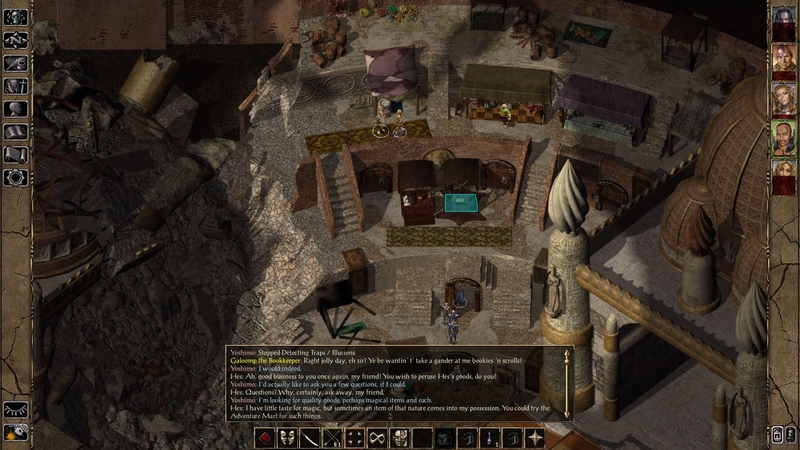 Fix dialog box to not prevent clicking at bottom map border to move to another area. 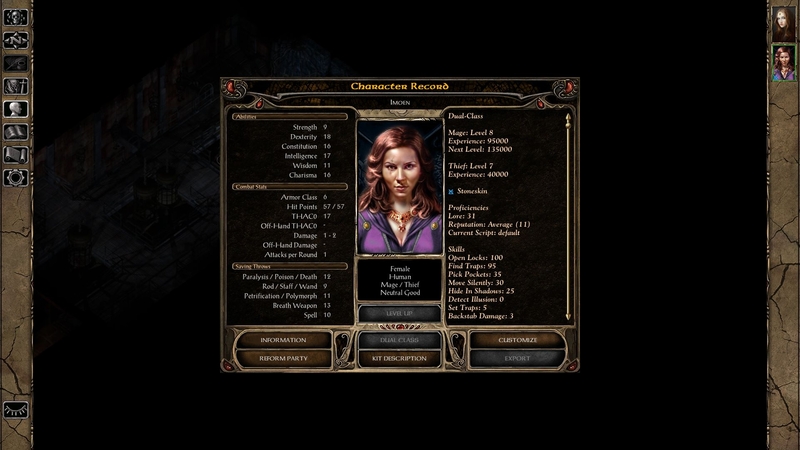 v0.7: Character creation screens (+ portrait picker). Do not hardcode the keyboard shortcuts. Fix wrong chapter screen. v0.6: Fix quickloot position. Make the movie screen modal. 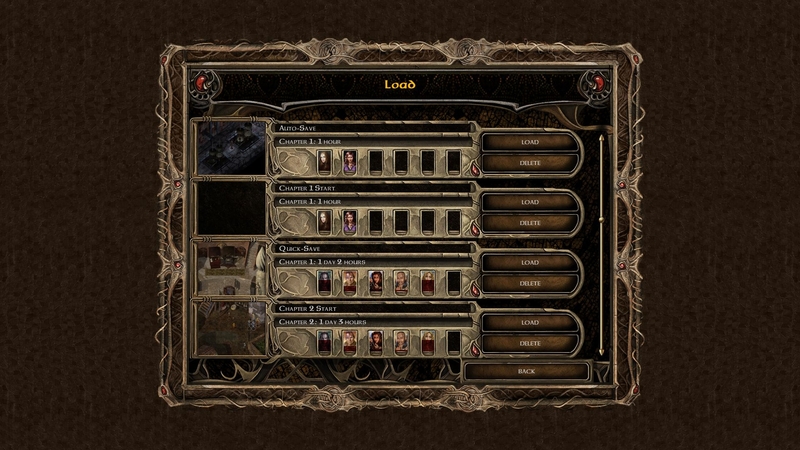 Restored Journal screen. v0.5: Fix glitch reported by @Elfenix. 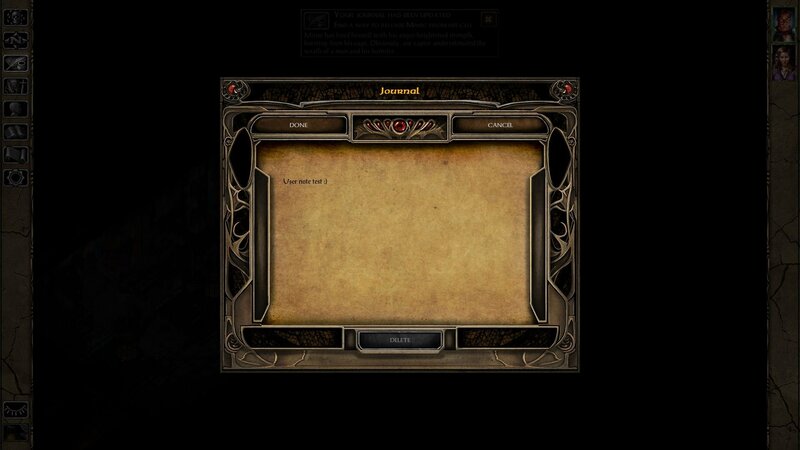 Revert Done/Cancel buttons order. Restore some popup images. Tweak options screens. 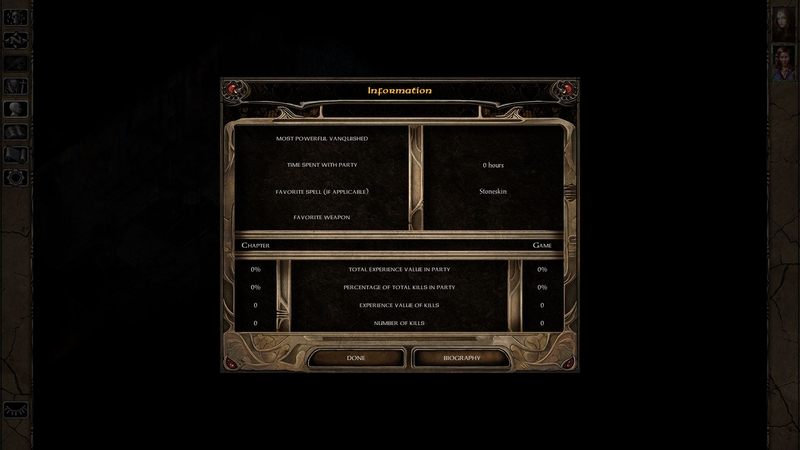 v0.3: Restored Load/Save screens. EET compatibility. Update dialog box tweak. Tweak popup. Fix some wrong tooltip. v0.2: Fix bug reported by @switchza (message box incorrectly resetting to the top). Improved record screen. 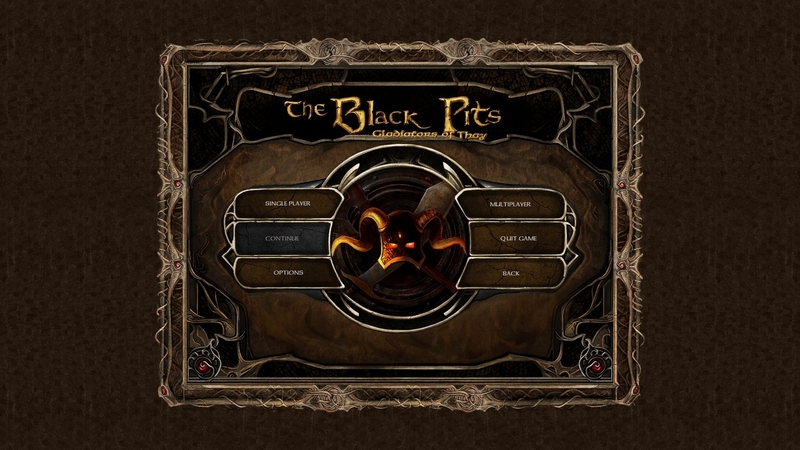 Minor tweaks to the start screen. Thank you for all the work you are doing on the UI. Do your tweaks work with different resolutions and larger fonts? Do you plan to make them compatible with BGEE sometime in the future? 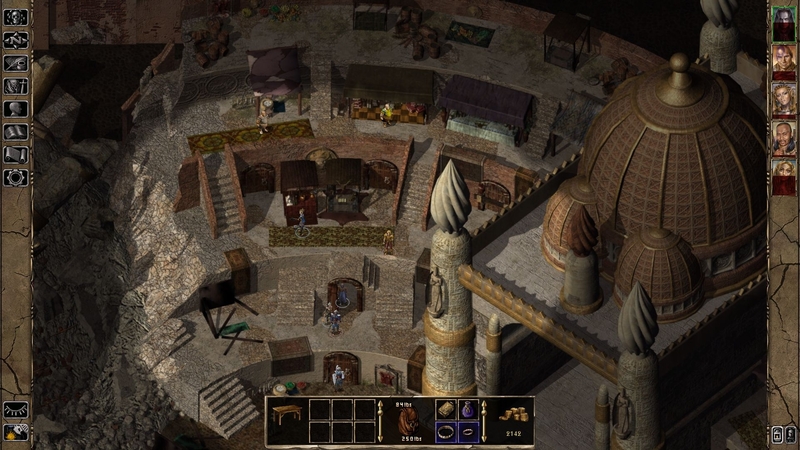 I use the same image resolutions as BG2EE so it should work with different resolutions like BG2EE. 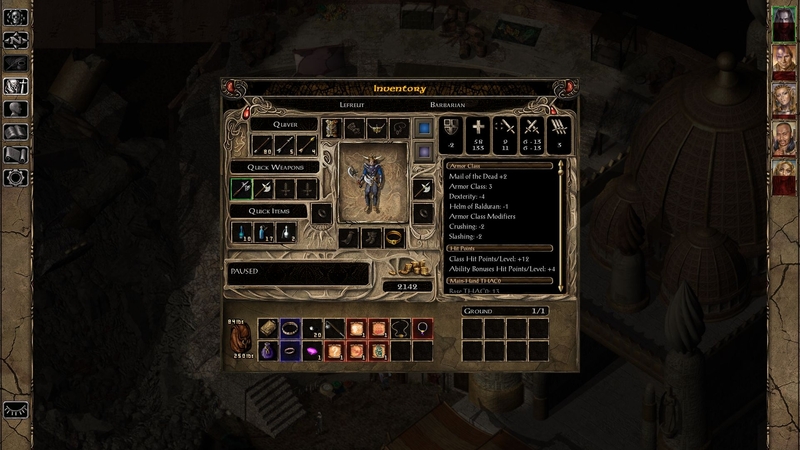 Some screens will adapt to larger fonts (the dialog box and the customize screens for example), some won't because I can't (the inventory screen). I can look if you find other screens that don't work with larger fonts. Yes. I mod both at the same time. 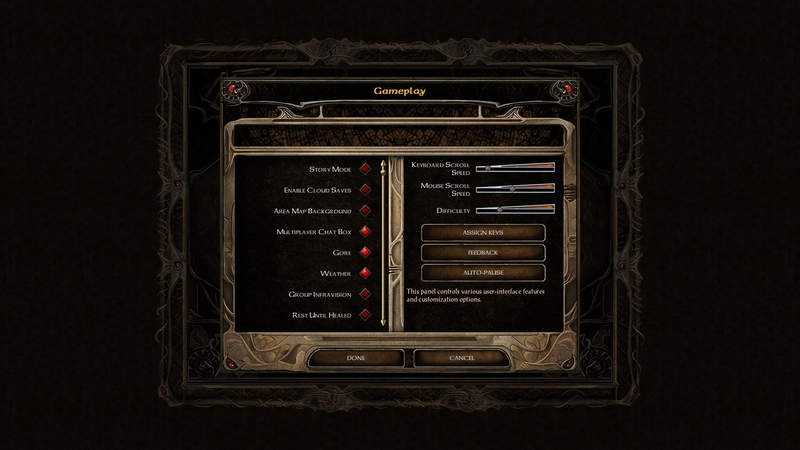 The goal is to have the same UI.menu for all games. Love this pack Lefreut! I've picked up one bug with the Dialog box tweaks where it keeps jumping up to the 'top' of the box (oldest entry) then if you take another action, like quicksave, then it scrolls back to the bottom/newest. I can reproduce it by opening any other fullscreen panel - like inventory - then closing, my chat log/dialog is scrolled all the way up to old events. Hope this makes sense? New version is out with the message box fix and with a new tweak to the record screen. See the first post for the download link. does this work with EET? Omg lefreut, you've got the original 'flavour' of the UI dead on, I think you're very talented. Thanks for the patch! I didn't try so I don't think it will work. 1. 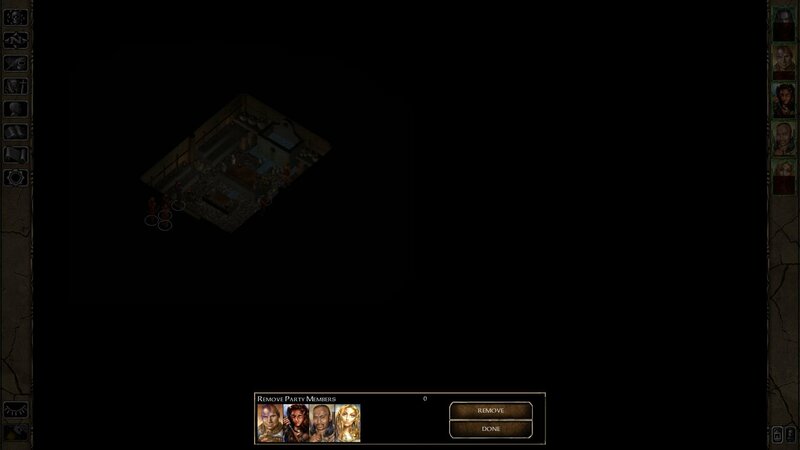 There is often a dead space above the dialog/chat box, probably not more than 20pixels high, but it's not possible to click 'through' it. 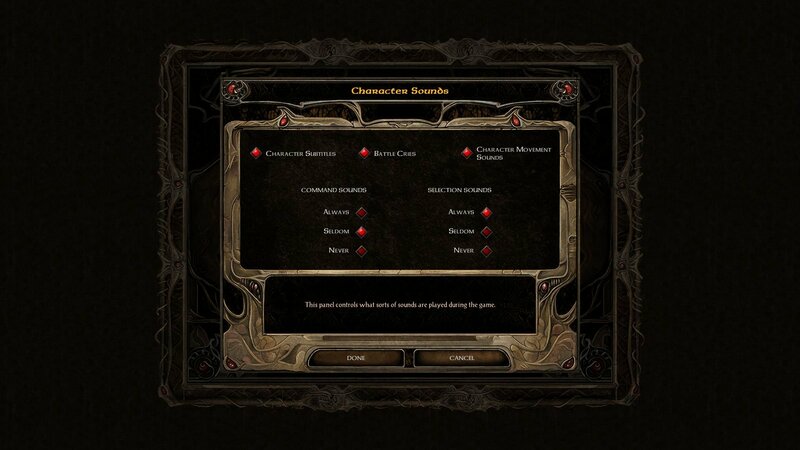 i.e to select a character, or interact with an object. The dead space moves when resizing the chat box. 2. 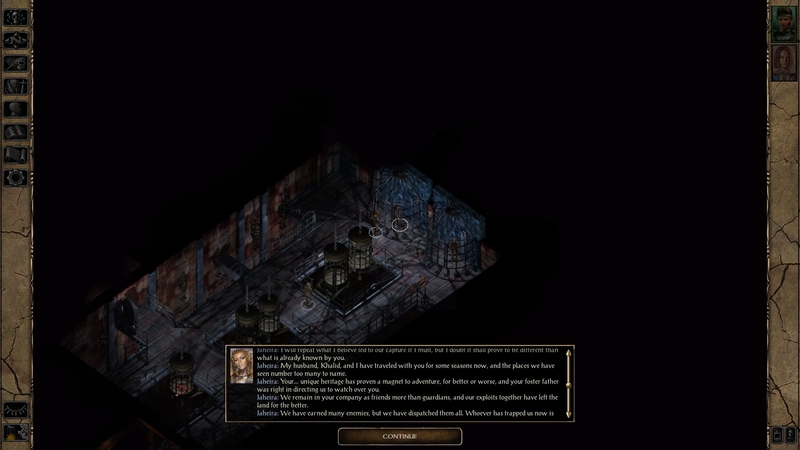 Every now and then, the chat window bugs out when talking to an npc. 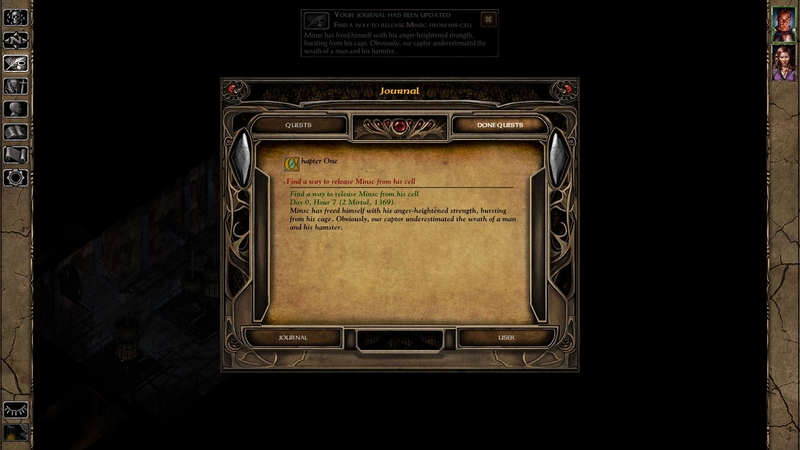 It goes blank until you scroll up or down, which brings all the text and dialogue options back into view. This one is tricky to recreate. Quitting and reloading seems to fix it. 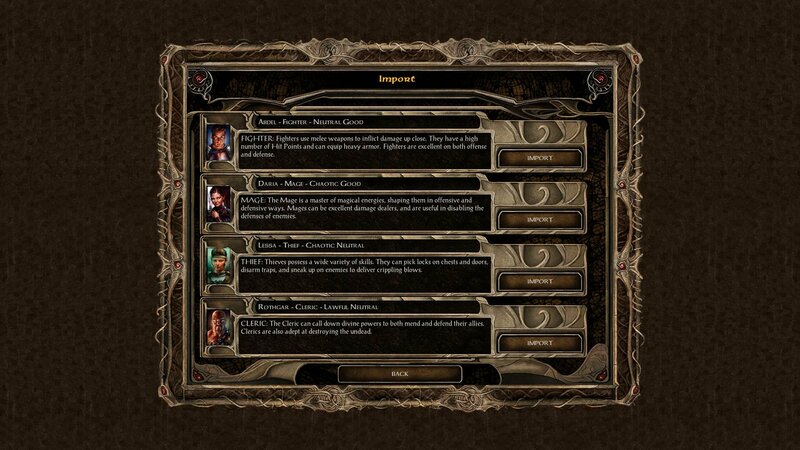 The new version (v0.3) contains an update to the dialog box code that should fix both issues. The other new things are the load and save screens restored to the v1.3 look, a tweak to one popup to use an image for v1.3, compatibility with EET (for @smeagolheart ) and some minor tweaks and fixes. As usual see the first post for download and screenshots. This is looking so nice! I can’t wait until you are ready to release a BG:EE version as well. I also have a question. Are you at all interested in possibly making a BG:EE version using the BGII skins? I find it so much nicer than the blue stone look. 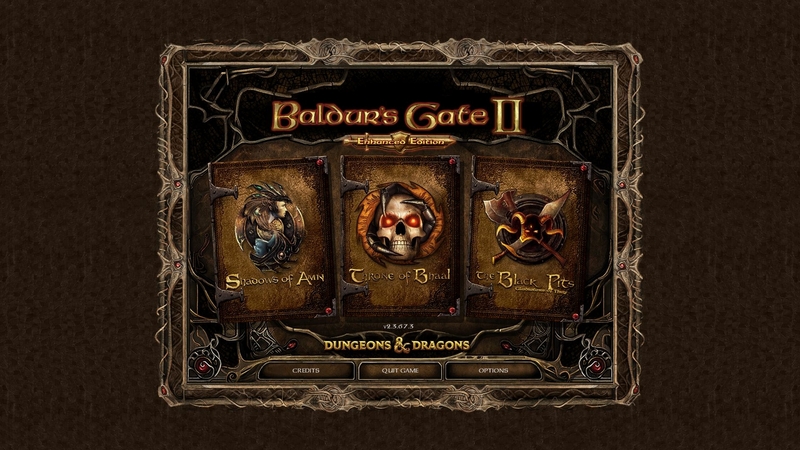 The BGEE version will use the BG2EE skins because it's the one I like the most. I will not make a version with the BG1 skins. You rock @lefreut. Looking forward to seeing the BGEE versions as well. 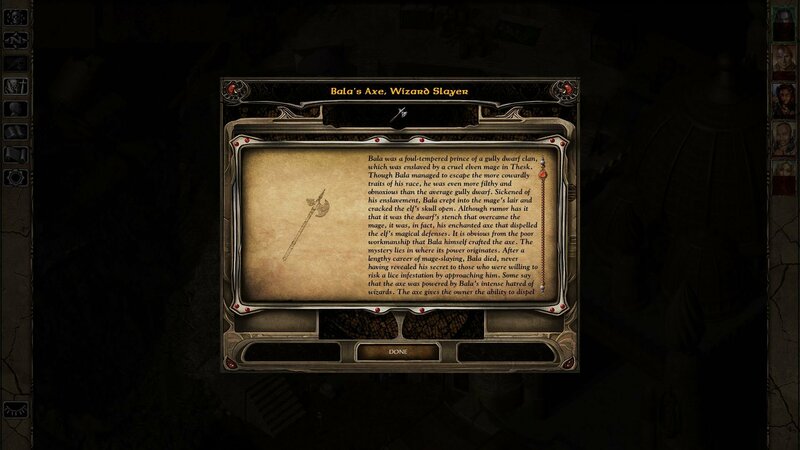 This week update only contains tweaks to some minor screens (map note, item abilities, journal popup, import, pick party, ...). 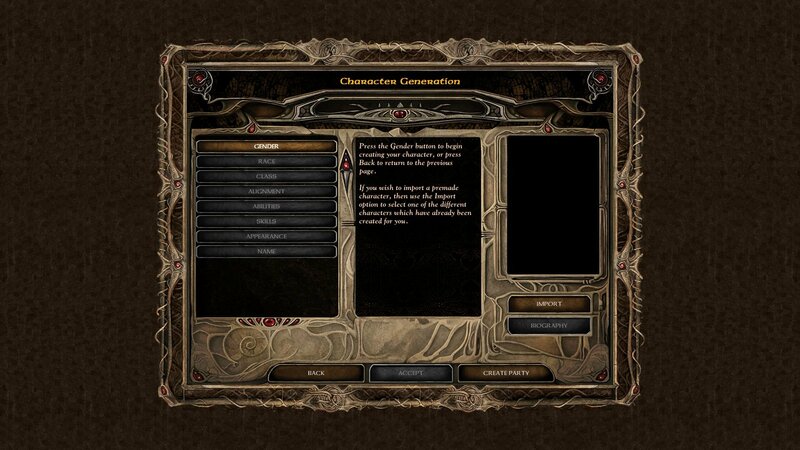 @switchza I will probably do the Options screens and then I will have to choose between the big changes (character creation, mage/priest spellbooks and journal). 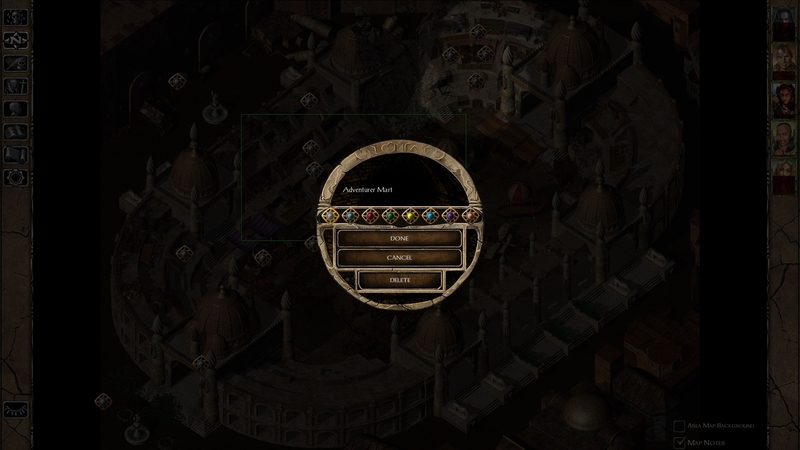 If I turn scaling option on, all new interface graphics added by your mod are shown very "ragged". Is there any chance to repair it? I'm using your mod for EET and it's awesome! I have tried it in BGEE, SoD, SoA and ToB : everything is fine! I got only one "glitch", one black vertical line appear at the side of the main character. It appears only with your mod, can I do anything about it ? Order of installation : kit, EET, portraits, your UI, EET-end. By the way, do you plan to work on this ugly journal ? 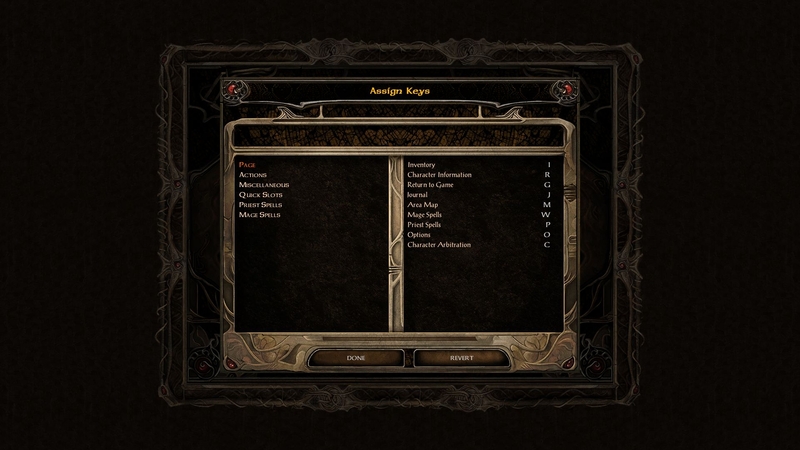 I dream of an UI like yours with a proper centered journal (like the 1.3 or like the one pecca made for his Dragonspear UI ++) ? Anyway thanks a lot for your work! It seems to be a problem with GUIRSP10.BAM. The version in my mod uses BAM v1, if I change it to BAM v2 I don't see the black line. As a workaround, you can delete this file from the override folder. I will release the fixed file in the next update that should be released saturday. Yes, my plan is to do something like in 1.3. And indeed, I have deleted this file and no black line anymore! Thanks again for this mod and very happy that a 1.3 journal could be part of it in the future. I'll definitively follow your work and hope that you keep your motivation! I'll definitively follow your work and hope that you keep your motivation! It fixes the visual glitch reported by @Elfenix. I change the font used in some of the screens (top v0.4, bottom v0.5). 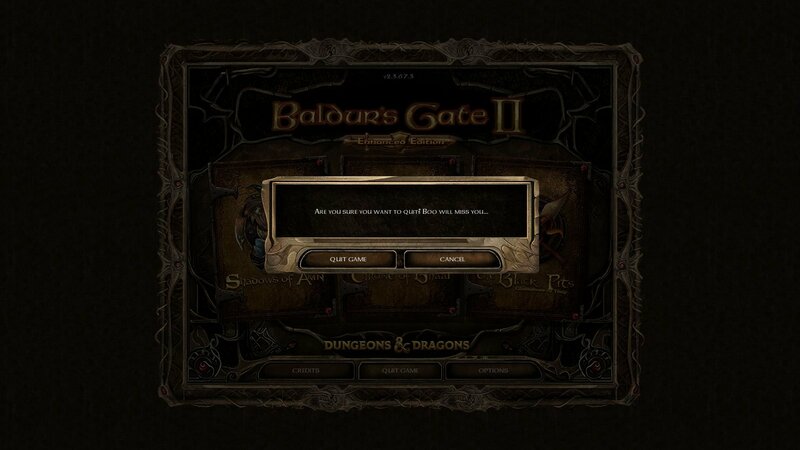 I also update some popup images using BG2 vanilla resources as a base. I revert the Done/Cancel button to Vanilla/1.3 order. 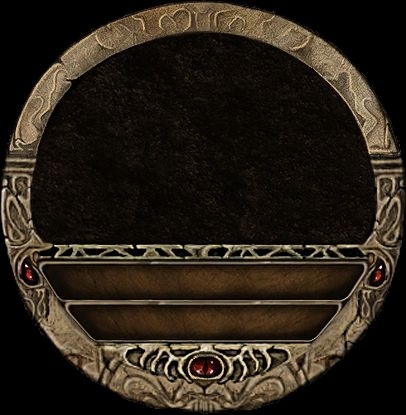 I may have miss some of the screens that are not yet changed in this mod, let me know if you find them. The fix works, the options screens fit perfectly with the other screens and the revert Done/Cancel was absolutely a great idea, seems so natural! I just have a problem with your new font, an italic font is better but this one looks a little bit blurry for me. Maybe if it wasn't bold ? Anyway, can I modify it myself ? Could you eventually give me the line to modify ? One precision, the font is from the game files, I didn't create it. To change which fonts are used, you can edit the M_STYLES.lua file. Maybe a font size of 12 is better ? It's just a personal taste so nothing to change in your mod. Even smaller, "TOOLFONT" is too bold for me so I took POSTANTI at 11 and it's perfect. This change the journal to the old 1.3 look and behavior. It should also fix some bugs ('No Objective Text', some journal entries not showed, ...). The code is quite complex so if you find anything not working as expected, feel free to report it. Due to engine restriction, the keyboard shortcuts to switch between screens are harcoded to their default values (I, J, R,...). Also there is no Revert button because I didn't find how to do it. Quick v0.6.1 release to fix a bug when scrolling to the right. Here is the UI.menu file if you already have v0.6 and don't want to re-download everything (you only need to change the extension). Otherwise, the first post contains the updated archive.